we have openings for the dates of the race. 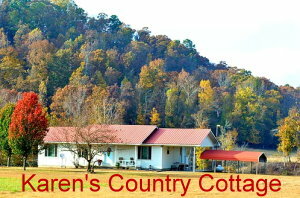 Visit Karen’s Country Cottage on the web. Have them give us a call at 479-216-0162. Includes two nights’ lodging in our newly remodeled Joplin Inn (formerly the Colonial Motel) at the intersection of Harbor Road and Hwy 270. Stay two nights in a cozy room with flat screen TV, mini-fridge, microwave, and single or double beds. 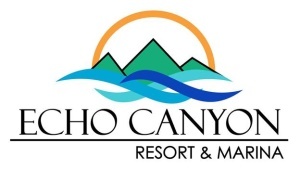 Find a large outdoor area, laundry services, and access to all resort amenities at nearby Mountain Harbor Resort. Also enjoy a $75 credit at Turtle Cove Spa – Lake Ouachita’s leading wellness facility, offering an array of treatments and therapies to help soothe away your post-race soreness and tension. -$214.90 (plus tax, please) for two night’s stay. Lakeview guest room with two queen beds, wifi, patio, mini-fridge, microwave and coffee maker. $89.00 per night, two night minimum. Very limited inventory! Includes one or two night’s lodging in a spacious, casual luxury two-bedroom condo with two bedrooms/two bathrooms, kitchen and living room/private deck and charcoal grill/beautiful forest view . This also includes a $75 spa credit to the renowned Turtle Cove Spa, Lake Ouachita’s premier wellness facility offering an array of treatments, therapies, massages, and experiences – they will have just what competitors need to recover from the race! Please mention the Ouachita Challenge and get these rates for the Ouachita Challenge weekend. Challenge participants get a discount rate! One or two people per room. Many options available including camping spots and primitive camping spots. Located about 9 miles from Northfork Lake & about 17-18 miles from Oden school. Our cabin is available for the weekend of the 2018 Ouachita Challenge. If you know of anyone looking for a place to stay they can give us a call at 870-334-2471. Here is our website: www.katescreekcabin.com. Also most of the forest is open to camping. Just look for open areas, don't obstruct roads, and clean up after you leave. Additional Resources providing information for Lodging and Camping in the Ouachita Mountains. The Oden School District has decided to offer another service to Ouachita Challenge participants. If you arrive in the Oden area without a motel reservation or other facilities, the gym at the school will be available for sleeping space for a small donation ($3 or so). All proceeds from this will go directly to the Oden athletic fund (Go Timberwolves!!). The gym will be open Friday and Saturday from early evening until 7 a.m. Please respect others in the gym and not arrive too late at night. You will need a sleeping bag, pad, and good humor. The gym will also be open several hours for showers after each day's event! Again, a small donation ($3 or so) will be requested and users will need their own towels, soap, etc. Blakely Mountain Dam, which impounds water forming Lake Ouachita, is a feature of a comprehensive plan for the Ouachita River Basin being administered by the U.S. Army Engineers, under the direction of the Chief of Engineers and the Secretary of the Army. The objectives of the plan are flood control, navigation, recreation, and the production of hydroelectric power. This national Forest Scenic Byway winding 54 miles from Mena to Talihina, Oklahoma, offers breathtaking panoramas of the surrounding countryside from peaks of nearly 3,000 feet. Perched atop Rich Mountain nearly 3,000 feet above sea level sits Queen Wilhelmina Lodge. With its breath-taking panoramic view, it came to be known as the "Castle in the Sky". The lodge offers 36 guest rooms plus two "Queens Rooms" with wood burning fireplaces, a meeting room which accommodates 50 persons and a restaurant. The Park has camping, miniature railroad, miniature golf, petting zoo, and hiking trails. The park is located 12 miles west of Mena on hwy 88. The 50 mile trail is the first formal trail system specifically for four wheelers and dirt bikes in the Ouachita National Forest. A 10 acre community park listed on the Register of Historic Places. The park offers picnic areas with covered pavilions, a playground, basketball court, spring fed ponds with picturesque rock bridges and a 1851 log cabin - the first homestead built by William Shelton in the area which now comprises Mena. Pine Ridge is only slightly smaller now than it was in the early 1900's when it was called Waters, the site of a post office, sawmill, general store, grist mill, blacksmith shop, and the other services necessary to a farm community. Out of this community came the inspiration for one of the most popular radio shows "Lum and Abner". Chester "Chet" Lauck (Lum Edwards) and Norris "Tuffy" Goff (Abner Peabody) grew up together in Mena, and were the creators, actors, writers, sound effects men, directors and the life of the "Lum and Abner" program which greeted its radio audience for nearly 25 years. The stores that were so busy on the program are still busy today housing the "Lum and Abner Museum" and the "Jot 'Em Down Store" which holds the souvenir and gift shop, antiques, crafts and continues to offer "Lum and Abner" programs. Open March 1 thru November 1, Tuesday thru Saturday, 9-5, Sunday 12-5. Located on Hwy 88 in Pine Ridge. The Ouachita Little Theatre is a community theatre located in the historic downtown Mena. All the actors, actresses, and behind the stage personnel involved in the OLT productions are volunteers who contribute many hours to producing the finest quality theatre possible. Near Mena this 25 acre lake is the centerpiece of the playground in the Ouachita Mountains. There's a beach, fishing, swimming, picnic and camping sites, a boat and fishing dock, hiking trails and an amphitheater. One of the most rugged and spectacular river corridors in the nation's midsection. The park encompasses more than 4,200 acres and facilities include picnic sites, a nature trail, solar powered restrooms and a pedestrian walkway. The river features Class III, IV, and V rapids - the Cossatot River, Indian name for "skull crusher" is not for beginners. Located off Hwy 71 on 246, south of Mena. The ranger station is located on Hwy 71 just as your entering Mena from the east. The ranger station has souvenir's and maps, they are also a wealth of information for any trails in the Ouachita National Forest. The old train depot located in downtown Mena houses the Mena historic museum as well as the Chamber of Commerce. Mena has many places to shop for gifts, arts and crafts, antiques and souvenir's.